Some things just taste better when Dad cooks them. So when I started making eggs with tomatoes and onions on Sunday and Dad offered to take over, I couldn't resist. 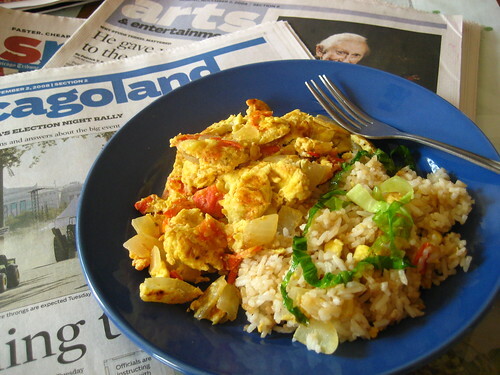 I can never make them the way he does (and he makes the best breakfast fried rice, too!). Love this picture! I enjoy Sunday mornings the best at Mom and Dad's and this picture is so Sunday.